Cough and cold season is here, and that means looking for ways to ease the discomfort of a cough, sore throat, or the flu. Especially so we can get the rest necessary for us to heal and recover. For many people, finding holistic, natural remedies is not only preferable, but it’s smart because of the lower cost and the lack of side effects from using herbal and food ingredients. You can make your own herbal cough syrup with ingredients that are easy to get at your local grocer and you may already have all or some of them around your home already! 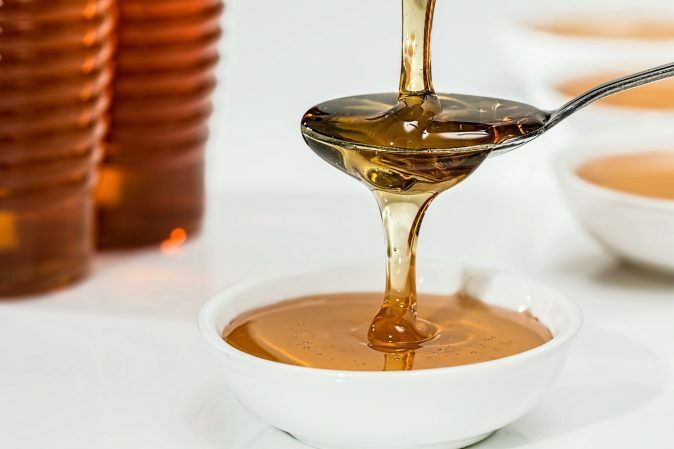 Honey has always been known to be a way to help reduce coughing, but there has even been studies done that showed honey to be just as effective as the main ingredient in OTC cough medicines. Not only is honey less expensive and tastes better, but it doesn’t have unwanted ingredients OTC cough remedies do such as alcohol! You can feel more comfortable knowing you are giving your children and yourself a healthy natural remedy. Ginger is an ingredient in this recipe that is also fantastic at reducing the pain of a sore throat. I have found this recipe to work every bit as well or better than commercial OTC cough syrup. 1/2 cup V&K Honey- If you don’t have any on hand, you can get it here or use your favorite honey from your local beekeeper. 1/2 cup Apple Cider Vinegar– Unfiltered Organic. Juice of 1 medium onion- Freshly grated and squeezed. 1 Tbsp. Ginger juice- Freshly grated and squeezed. 1 Tbsp. Lemon Juice- Freshly squeezed. 1 shake/pinch of fresh cinnamon- (leave this out for pregnant mothers to be). Directions: Combine all ingredients and store covered in a glass container in the refrigerator. Shake the jar to mix the ingredients before each use. Give children 1 tsp. 2-3x a day. (do not give to babies under 1 year of age). Adults 1 Tbsp. 2-3x a day. *You may want to warm it up to room temperature or add a dose to a small glass of warm water to make it easier to take. Since these are basically food ingredients and there are no chemicals or unnatural ingredients, it isn’t harmful to use a bit more frequently when needed to help ease the symptoms of a cough, cold and even the flu. I hope this recipe gives you some relief this cold and flu season!! Very good written post. It will be helpful to anyone who usess it, including yours truly :). Keep up the good work – looking forward to more posts.